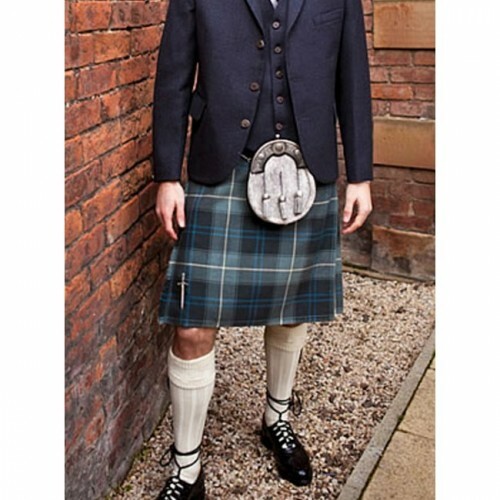 As with all our kilts, this garment is Made in Scotland by our highly trained kilt makers. They are fully canvas lined with 3 buckles to ensure an excellent fit. 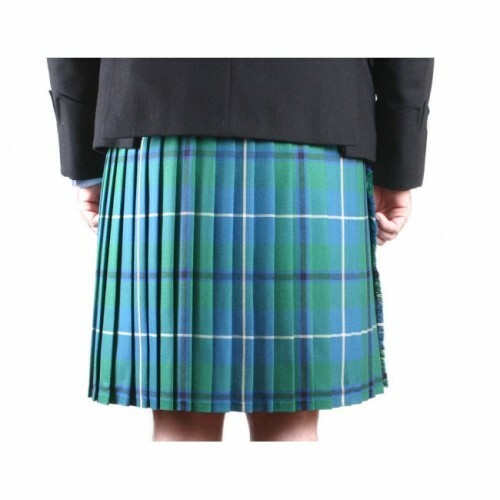 The kilt is machine stitched from 8 yards 16oz. worsted wool, available in a full range of tartans. The appearance of a machine stitched kilt, when worn, is really not discernable between the machine and hand-stitched garments. 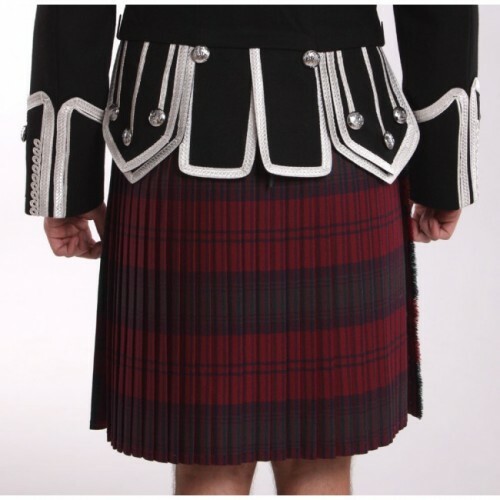 The machine stitched kilts are “under-stitched” so none of the stitching of the pleats is visible at all. The planning, sizing, construction etc is the same between the two methods, only the stitching and finishing of the garment are different. Height: provide this in feet and inches. If you have any queries regarding the measurement process, or would like some additional information before placing your order, please e-mail us. *Please note that we cannot take responsibility for a kilt that does not fit due to incorrect measurements. Pipe Band discounts are available for larger orders, please contact us for more information.